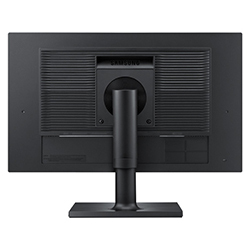 Feature An Ergonomic, 4-way Adjustable Stand. Not all commercial-grade business monitors are created equal. Samsung's SC450 Series provides reliable, cost-effective monitors for everyday business. 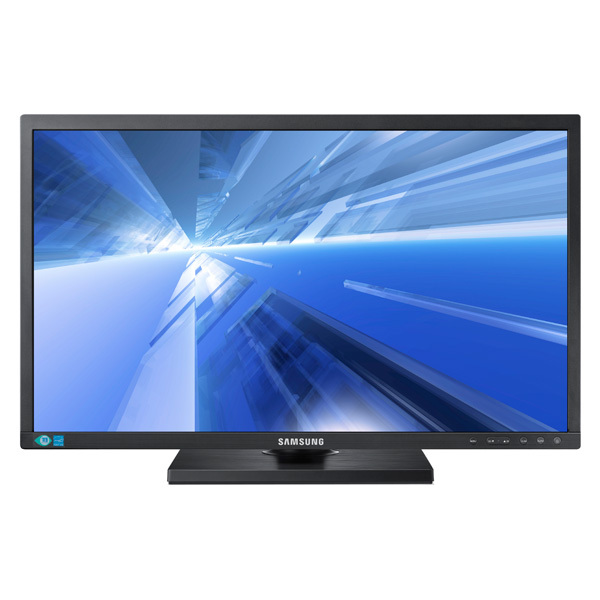 The 24" display features Samsung’s energy-efficient LED-backlit technology for reduced power consumption. And with better ergonomics, a narrow-bezel design and wider connectivity options, these innovative monitors are clearly up to the task. 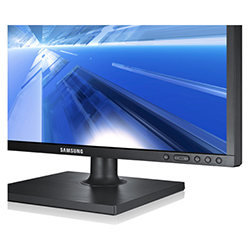 Samsung's SC450 Series 24" monitors feature an ergonomic, 4-way adjustable stand. The front-mounted buttons allow for easy and intuitive operation. And the advanced LED-backlit LCD screen delivers amazing visuals and exceptional image quality. 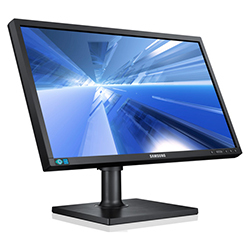 With narrow bezels, a black matte finish and front-mounted tactile buttons, the SC450 Series is an easy-to-use, easy-to-deploy and easy-to-maintain professional-grade desktop monitor solution. And it will make your workstation look good up front. 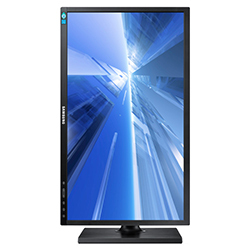 As the SC450 Series is VESA-compatible and lightweight with thin panel depths, installation on a wall or separate mounting arm is easy. 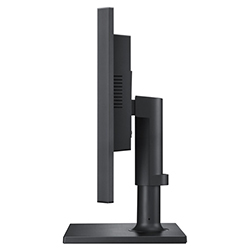 And the height-adjustable stand features tilt, swivel and rotate capability for versatility and better ergonomics. A wide range of connectivity options provide the flexibility to connect to other devices a user may have now or in the future. Each model includes a combination of 2 or 3 connection options like VGA, DVI, HDMI and DisplayPort for integrated use. 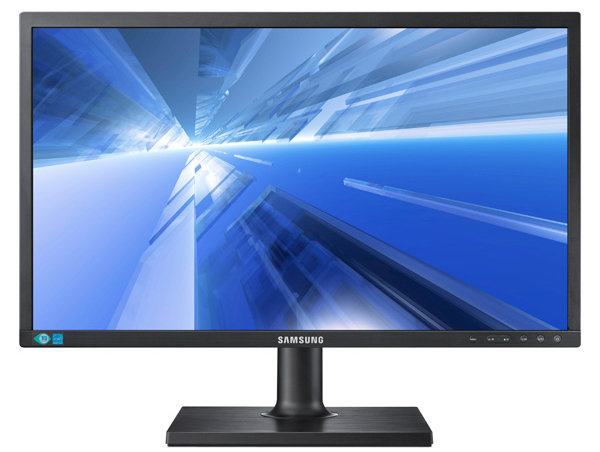 Enjoy the reliability and durability you've come to expect from Samsung with a desktop monitor built to last. And with the SC450 Series’ standard 3-year warranty, you can secure your peace of mind and rest assured your investment is protected. Product Dimensions With Stand MAX:22.3" x 20.2" x 8.8" MIN:21.9" x 15.1 " x 8.8"
Product Dimensions Without Stand 21.4 "x 14.2" x 2.1"
Shipping Dimensions 24.7" x 7.4" x 17.1"
Product Weight Without Stand 7.7 lb.